Near the very center of Colorado in the rarified air of elevations ranging from just under 8,000 to just over 9,000 feet above sea level, the Tarryall Historic Rural Landscape District extends some 40 miles beginning with open rangeland and slowly wanders through an ever narrowing verdant valley. A traveler leaving the tiny town of Jefferson which lies along US 285 begins his journey by turning down Tarryall Road following the Tarryall Road where antelope are as likely to graze the open grassland as cattle and horses. 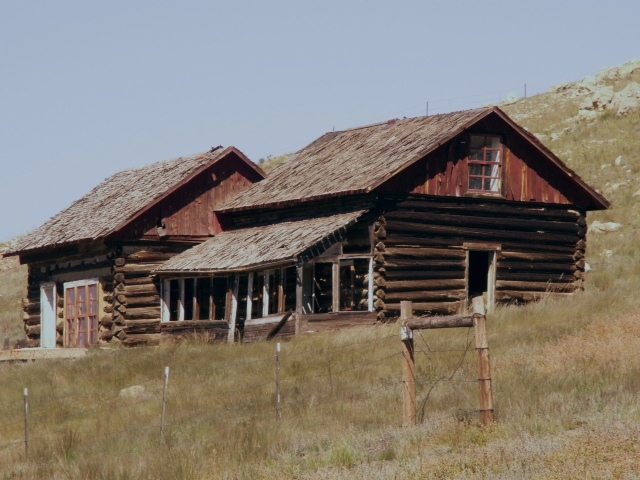 Soon, the road turns sharply and a historic homestead comes into view – and then another, and another, reminders of the homes established by new arrivals in the early 1860s. The Tarryall Valley stands in contrast to the sprawling cattle ranches, many of which once spread over tens to hundreds of thousands of acres, that make up much of the South Park basin. 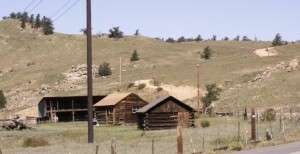 The ranches of the Tarryall remained small, most well under 500 acres, and when the big Front Range cities came to buy rancher’s water rights, many in the Tarryall community turned down the offers and kept their rights to use the water flowing into the valley from the Tarryall, Michigan, and other small creeks and the South Platte River and are still able to raise highly nutritious hay, once a major export that was produced across all Park County’s South Park. The road follows these water sources and around every curve appears a new photo opportunity. High on a hill, an American Flag marks a cemetery whose gravestones tell the story of the families who settled and operated successful farms and ranches here. Past a placid herd of buffalo lounging in rich meadows emerges the glassy surface of the Tarryall Reservoir replete with fishermen as well as white pelicans and shore birds. The next curve reveals the tightly winding stream and another homestead headquarters, this one well- maintained and occupied, perched close by. The valley was marked with trails used by Native Americans and then by gold seekers who soon saw the rich soil of the valley as a better way to feed their family. They established the roadway in 1862 and began settling on 160-acre homesteads, bidding their family members from back East to come and claim adjoining homesteads in order to pool their resources in producing crops like potatoes and barley and in raising houses, building small towns and establishing the ever-important schools, several of which still dot the landscape. 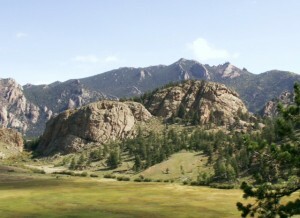 As the streams and roadway meander further toward the south, the surrounding landscape alternates between close stands of evergreens to open meadows backed by rugged rock formations. Bordered by the Puma Hills, the Tarryall Range and the Lost Creek Wilderness, a National Natural Landmark, the wider landscape hugs the valley, which by necessity established the close community nature of the area the residents share with summer visitors who have populated guest ranches and fishing retreats since the late 1930s. In 1996, Jonathan Horn, of Alpine Archaeology, Inc. surveyed the area immediately along the roadway in preparation for a Federal Highways project to repair and rebuild portions of the county/forest service road. His work concluded in establishing the area eligible as a historic rural landscape district. A movement began in 2009 to extend survey work beyond the immediate area of the roadway in order to better include more of the landscape. 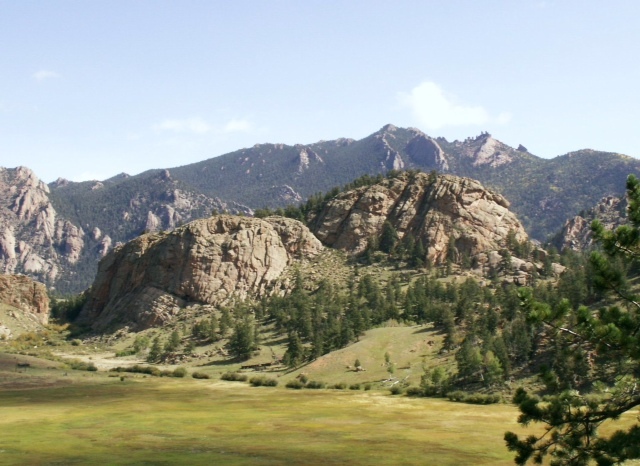 The Park County Office of Historic Preservation engaged Front Range Research, Inc. and after surmounting a number of stumbling blocks along the way, the Colorado State Review Board unanimously recommended forwarding the nomination to the National Park Service Keeper. A number of public meetings were held throughout the process, with enthusiastic support from the hundred or so landowners that reflected their pride in the amazing area in which they choose to live. Thanks to Linda Balough for contributing this month’s featured landscape.